This Sunday, September 11, is Grandparents Day. Congress passed the legislation proclaiming the first Sunday after Labor Day as National Grandparents’ Day and, on August 3, 1978, then-President Jimmy Carter signed the proclamation. Therefore, Grandparents Day has been around most of my life but before this year, I didn’t really celebrate it besides a post on social media. This year, Grandparents Day has taken on an entirely new meaning. 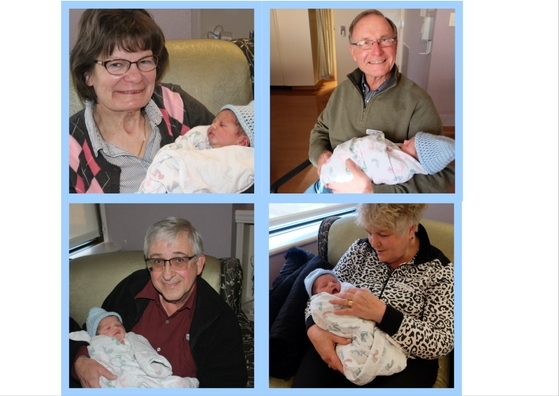 In January, we welcomed our son and now have the opportunity to see how great my parents and in-laws are as grandparents. (We already knew they were great with our nieces and nephews but seeing it first hand with your own child, gives an entirely new perspective). They gave us so much help and support since the day he was born. 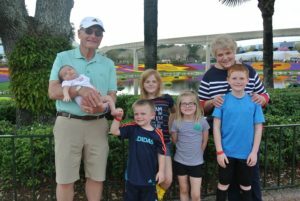 Each set of grandparents, spent a week with us as we adjusted to parenthood and have each spent many days and nights watching Anderson while mommy worked or when we needed a date night. 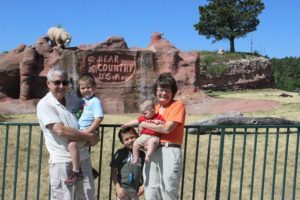 Each family has also taken wonderful vacations this year, the Tonjes Family went to Disney World in March and the Moritz family went to the Black Hills in June. We are so very fortunate to have our parents just a few hours away and willing to help and sometimes at very short notice. I am so grateful to have their love and support in the new adventure of parenthood. This year not only marks my first year as a parent but also the first year that I do not have any grandparents. In April, my Grandma Tonjes went to heaven, at 98, she was ready and it was not unexpected but it does leave with a feeling of loss. 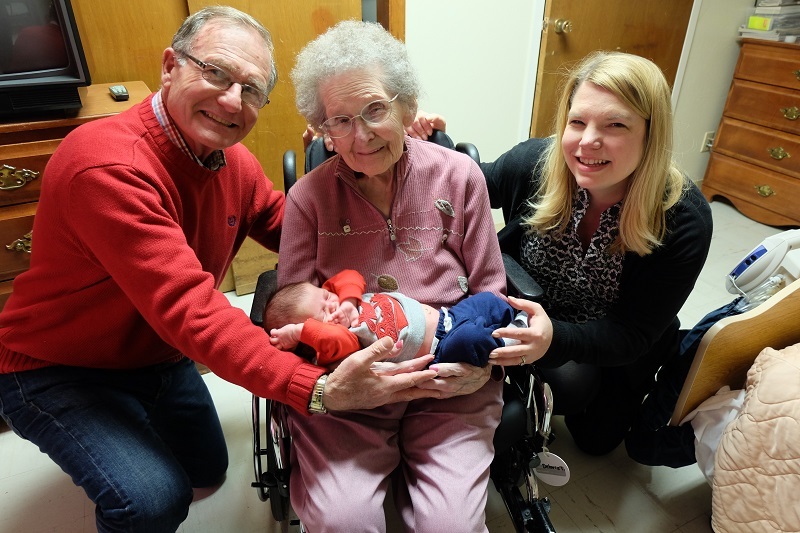 Anderson did get meet his Great Grandma Tonjes in February and I really cherish the picture of her holding him. About five years ago, I started taking a picture of grandma and I each time we went to visit. 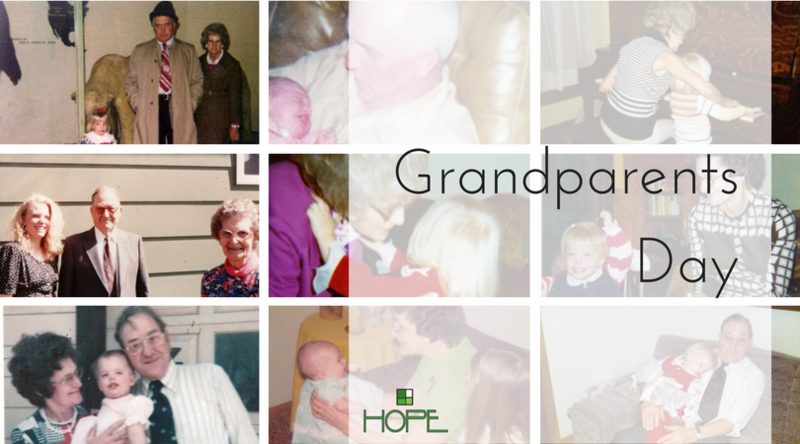 These pictures are so important to me because there are very few pictures of just me and my grandparents. (some of that has to do with the fact that they died in 1984, 1993 and 2006 – when we were not caring a camera with us everywhere).I so wish I had more pictures with my grandparents and I am taking that as a lesson to take more photos. 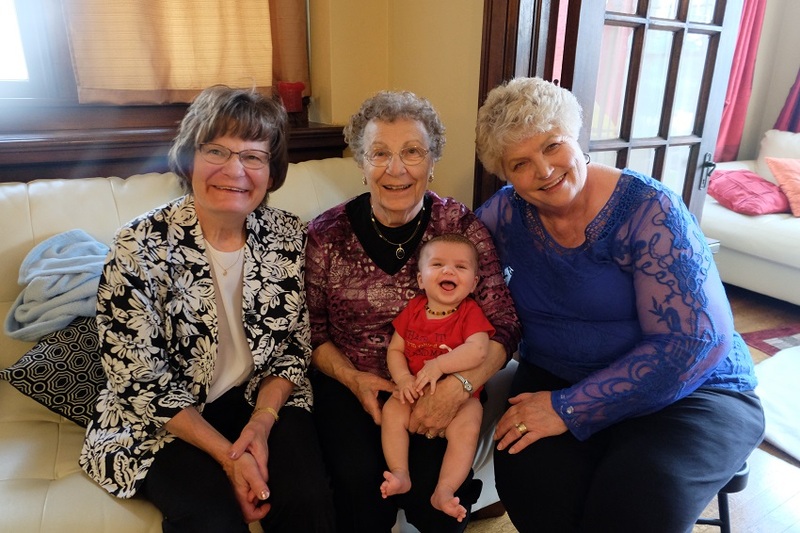 If you have the opportunity to take a picture with your grandparents this weekend, make sure that you take at least one poised photo and one in action photo. Get out some old photos and ask your grandparents and/or grandparents to share a story about the picture.